I didn't really use a tagine for this dish, but the dish was in the spirit of the tagine and a classic one-pot dish. 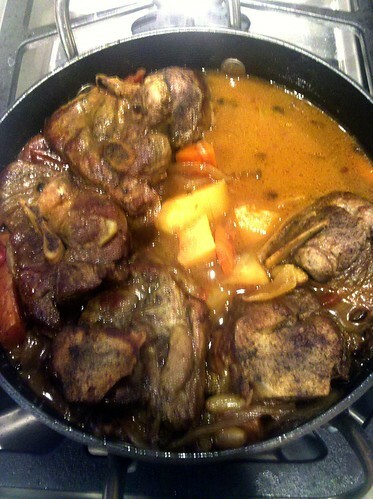 I mixed in potatoes, carrots, onions, tomatoes, and lamb shoulder with a variety of spices. The broth was a spoonful of heaven.